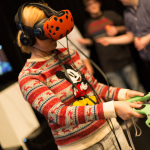 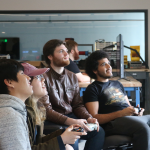 Fall Arcade is our BFA in Game Design’s curated exhibition of student made games and this year we had 7 amazing projects, check out our photos and projects! 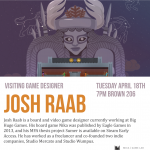 Josh Raab is a game designer working between tabletop and digital games and gave a talk about his tabletop game Nika and digital board game Sumer. 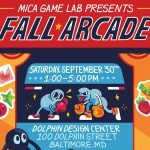 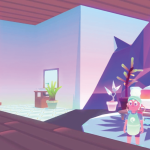 Fall Arcade is our Game Design BFA’s yearly curated show featuring student made games and playful experiences. 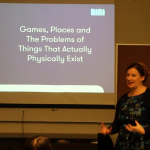 Holly Gramazio is a game designer who creates pervasive, physical games engaging with space and history and gave a wonderful talk on her work. 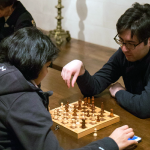 As part of the Walters Art Museum’s exhibit: A Feast for the Senses, we worked with the museum to create an event featuring medieval, modern and student games. 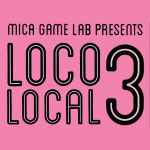 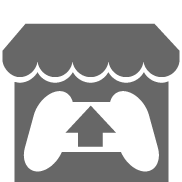 Loco Local is our department’s local multiplayer game event that features innovative new social games from some great designers.